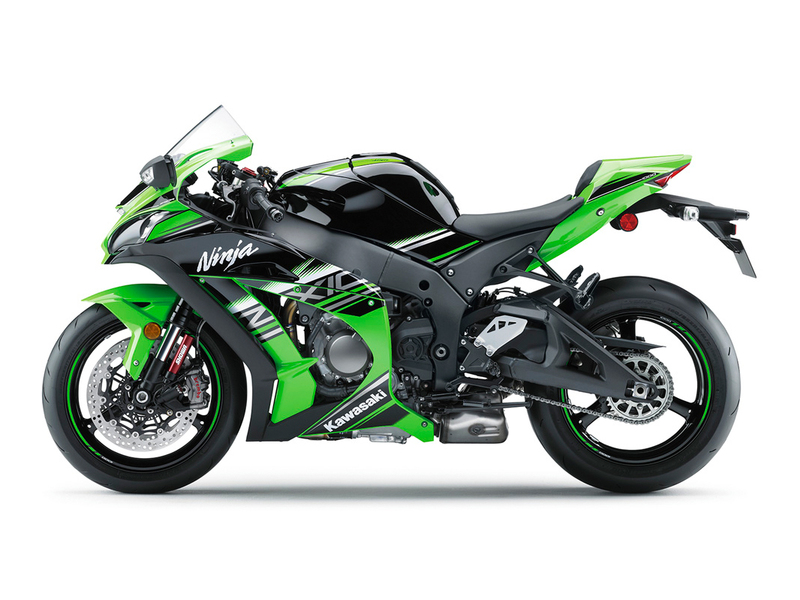 Winning the World Superbike Championship in 2013 with Tom Sykes, then clinching it early again in 2015 with Jonathan Rea, you figure a company like Kawasaki wouldn’t want to come out flat-footed with a new ZX-10R that didn’t have much of the latest racing-derived developments on it. 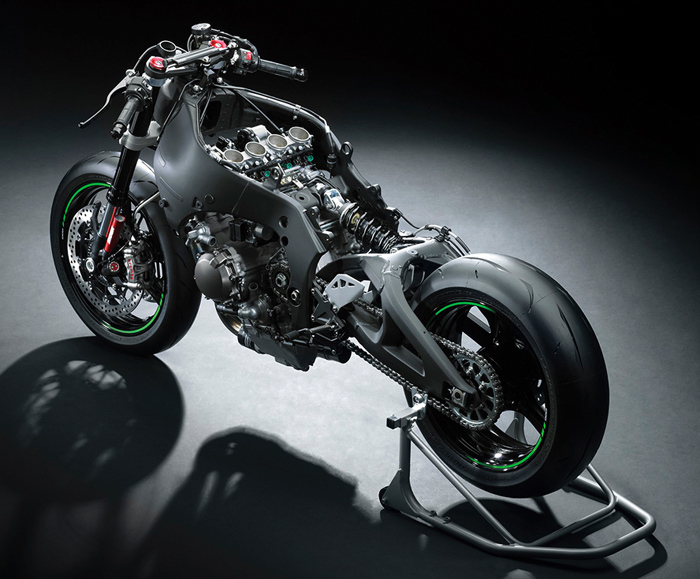 After all, the bar has already been set pretty high by the new 2015 Yamaha R1; anything less than up to par with the MotoGP-inspired electronics of the latest literbike weapons would be showroom suicide for Team Green’s new weapon. Well, Kawasaki fans apparently need not have worried. 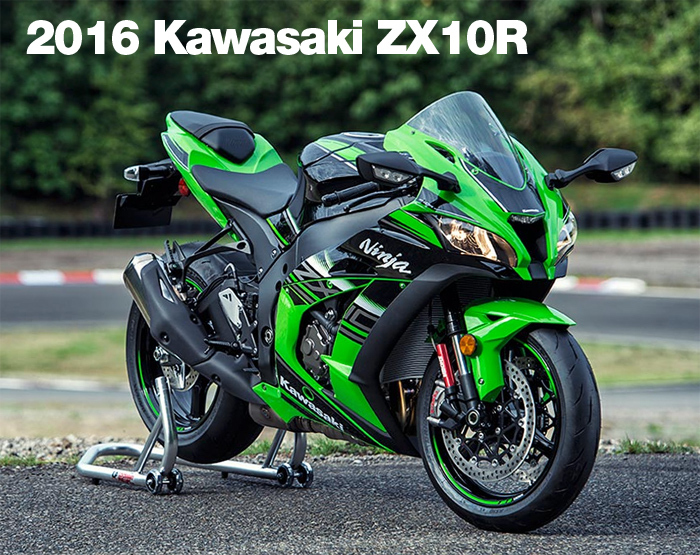 On paper at least, the new 2016 ZX-10R appears to have all the goods to compete eye-to-eye with the class heavyweights. 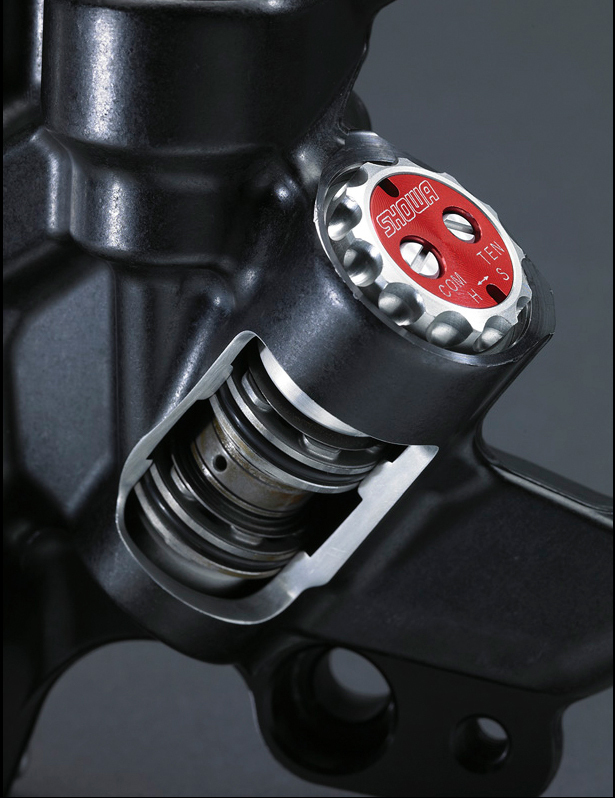 Above: Dual Compression and rebound Adjustable Showa Suspenion, includes a remote resevoir system SBK Front Fork to eliminate oil cavitation. Left: Electric Quick Shifter. 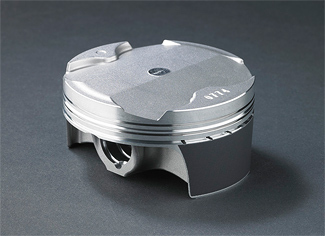 Below: High Compreesion, Shirt Skir Piston. 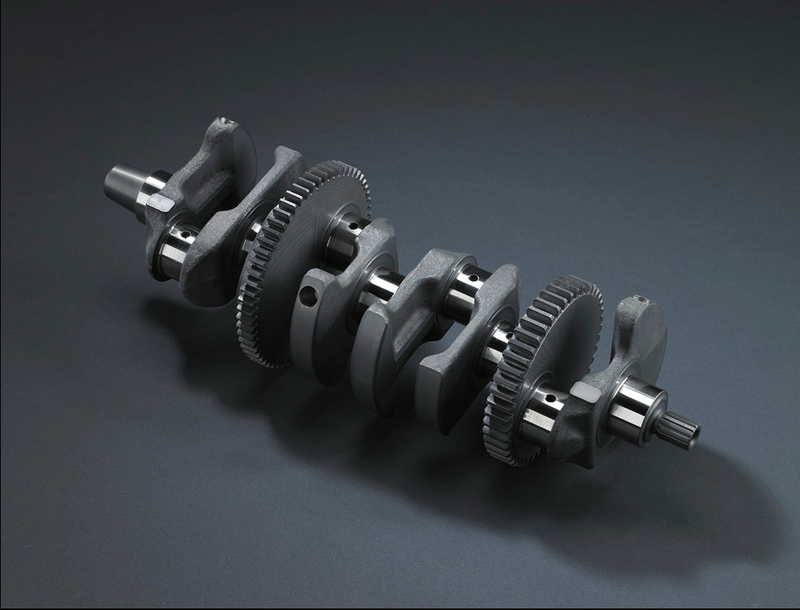 Flat Plane Crankshaft is the new tend for performance engines. 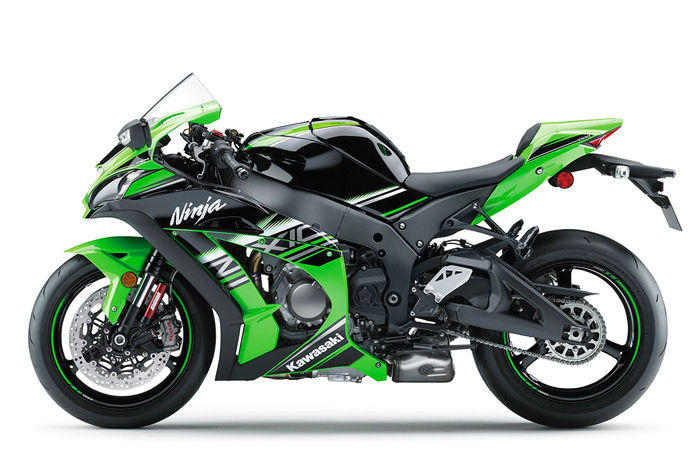 Other than the previous engine’s bore and stroke, there’s not much more carried over between the old and new ZX-10R. 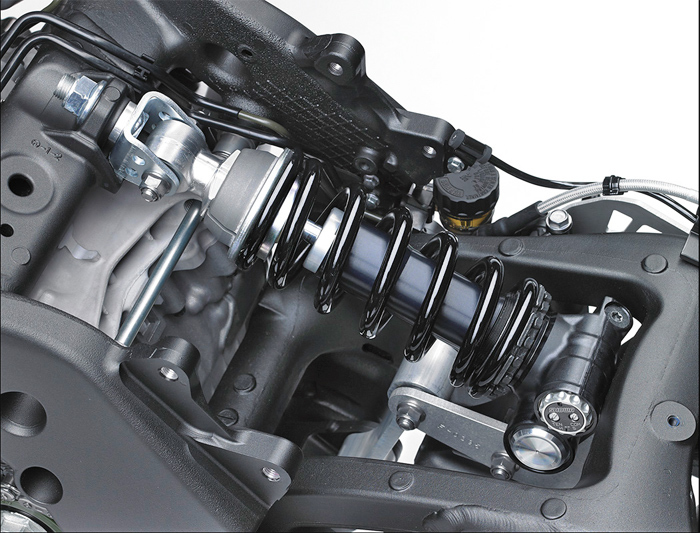 A new lighter crankshaft provides quicker revving, with a correspondingly lighter balance shaft and rod journals that have a new coating for reduced friction at higher rpm helping in this regard. New pistons (shorter skirts chop 5 grams), cams with more overlap, and new airbox (25% more volume, air filter with 60% more surface area for better flow) work with an all-new cylinder head featuring reworked and polished intake and exhaust ports (previously only the intake ports were polished) plus revised combustion chamber for better response and power. Titanium intake valves remain at 31mm, but the titanium exhaust valves increase in size 1mm to 25.5mm. 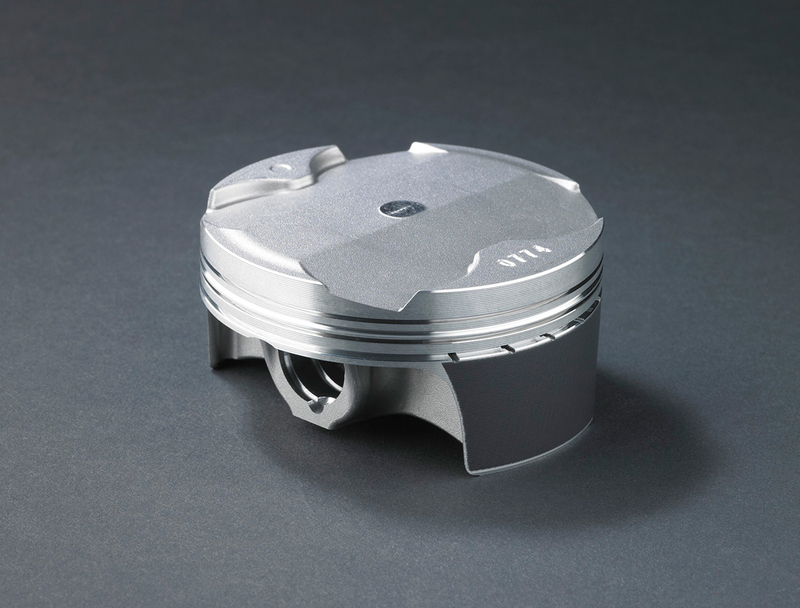 Cylinder wall thickness was increased slightly for a more rigid engine block. 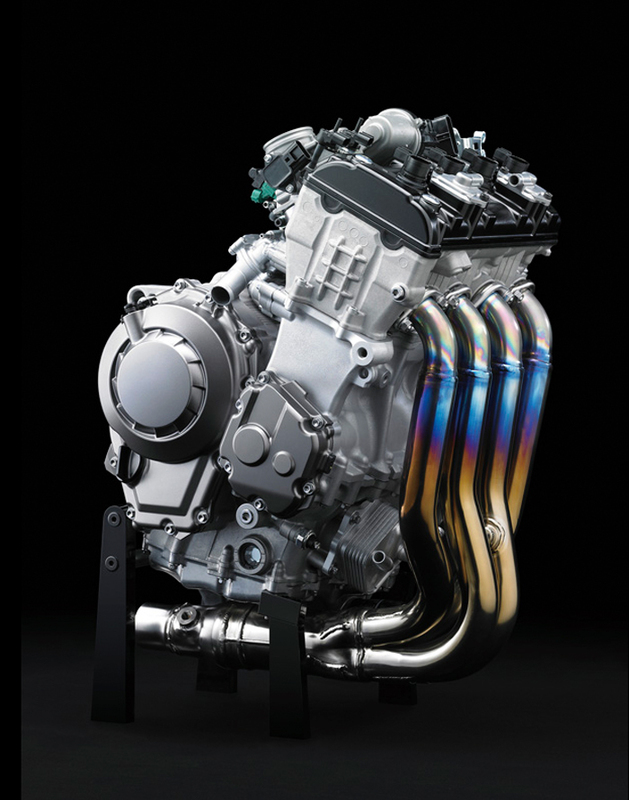 Titanium alloy headers use a new heat-resistant alloy that allows thinner wall thickness for reduced weight, and the titanium exhaust canister has 50% more volume for better flow without increased sound levels. Speaking of sound levels, the intake portion of the frame's steering head was modified to quell intake honk, allowing some freedom in the exhaust noise levels for more power without exceeding US noise restrictions. 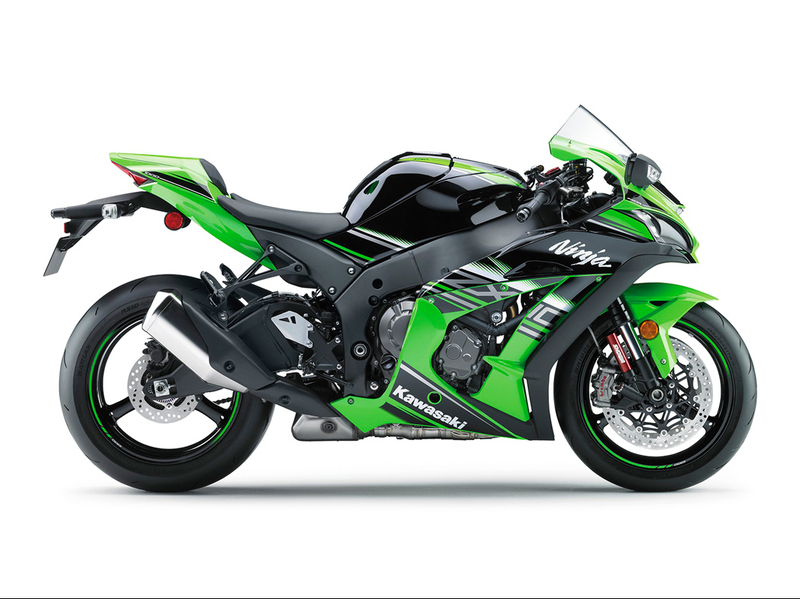 This is the Superstok race Kit for the new ZX10R shich includes a new Close Ratio Track Geaset which can be easily change. 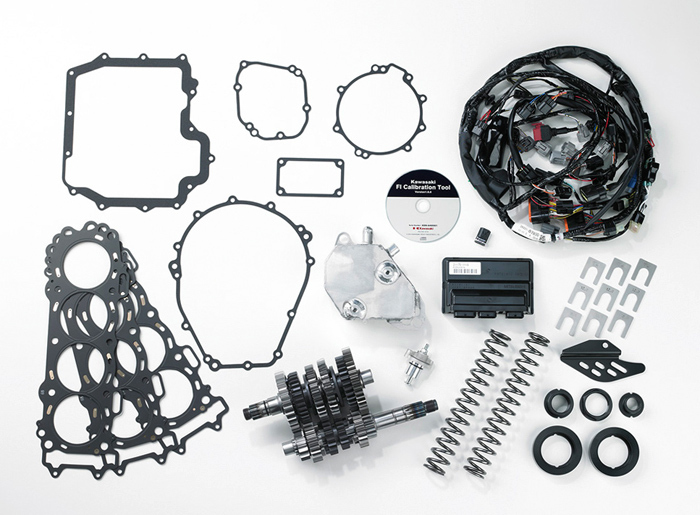 Witing harnes allos removal of lighing equipent, and attahes the new EFI Fuel Injection Module to rerecalibrate the fuel maping with racing exhaust systems. 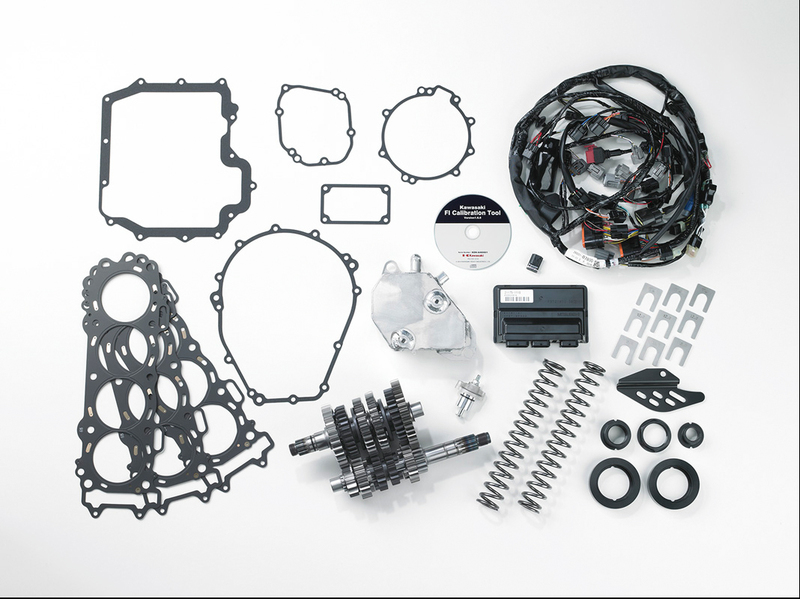 Different thickness head gaskets alow for adjusting the engine compression ratio. 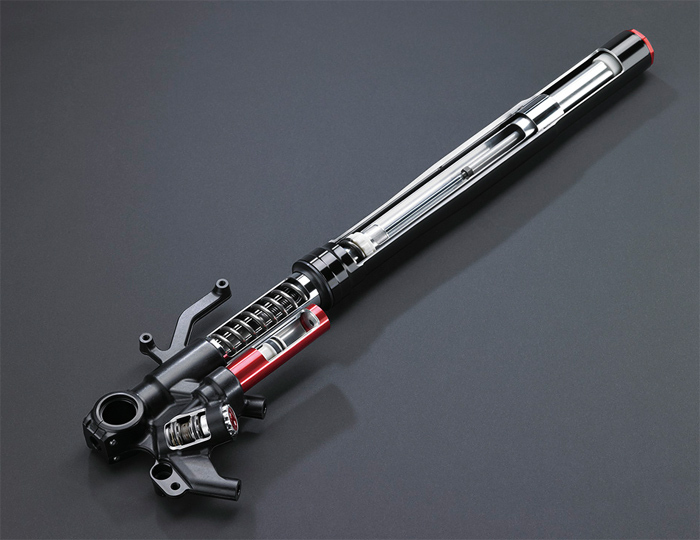 Transmission is now housed in a racing-style “cassette” design that allows quicker and easier gear ratio changes. 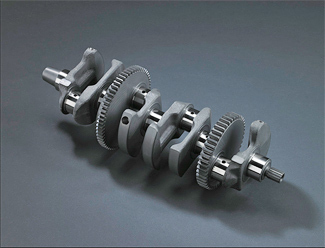 Gear ratios are closer for track use, with shorter ratios in all but first gear. The slipper clutch is 130 grams lighter, and some of the gears have dry-film lubricant coating to reduce friction. A contactless-sensor equipped quickshifter similar to the H2R is standard. 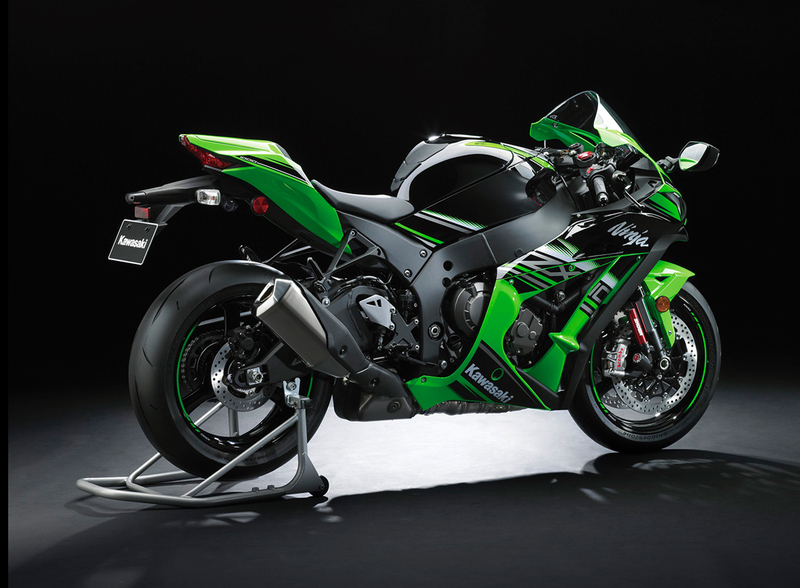 The new ZX-10R utilizes a Bosch five-axis IMU with software developed in-house at Kawasaki that allows the unit to calculate yaw rate from the other sensors, resulting in six-axis operation. 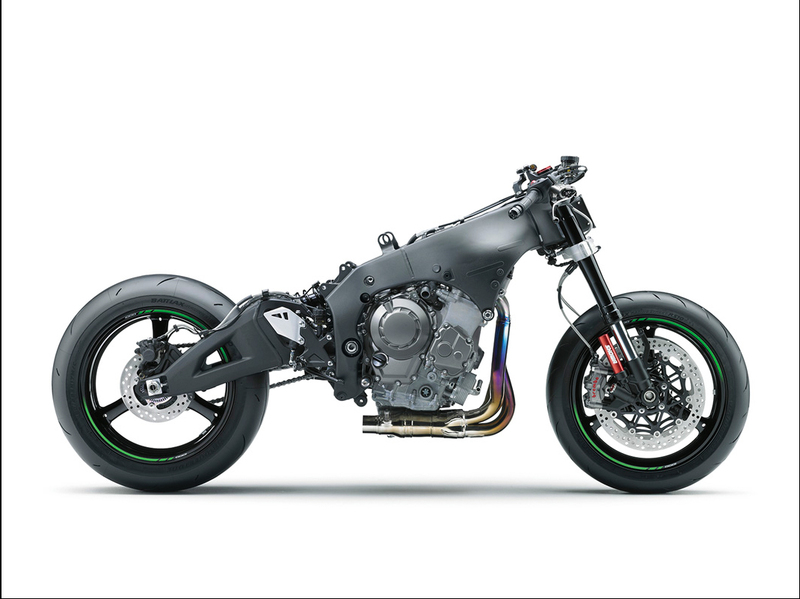 This allows the IMU to sense changes in pavement elevation, camber, and the motorcycle’s position relative to them; it can even discern different tire profiles, giving the various electronics systems the ability to instantly adapt to real-time conditions. 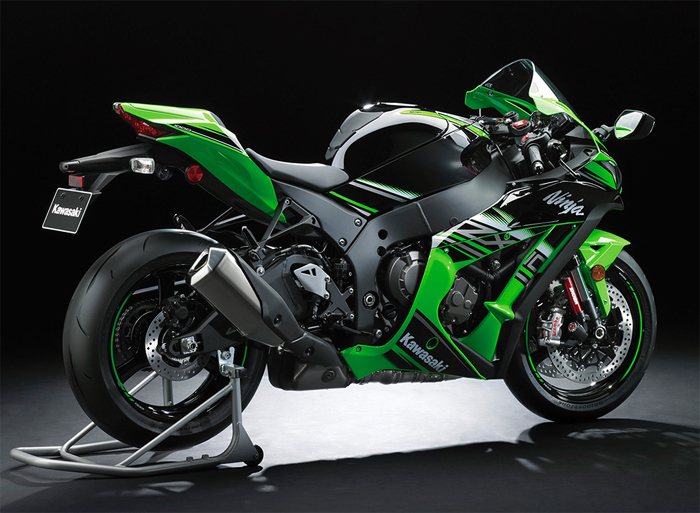 The Sport-Kawasaki TRaction Control (S-KTRC) system now has five modes of operation instead of three as with the previous ZX-10R. 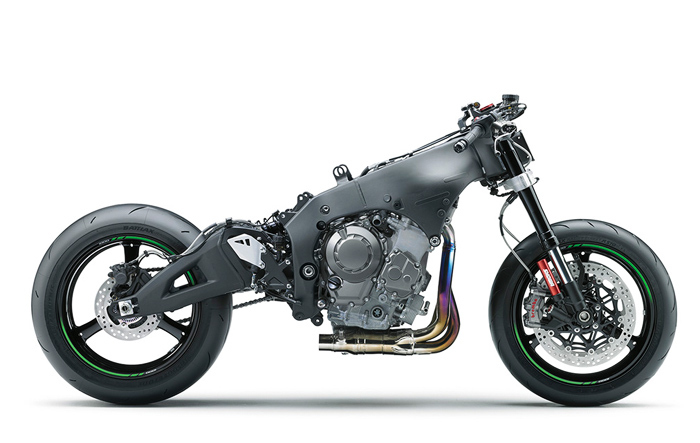 Modes One and Two are designed for racing, while Mode Three is for a “dry circuit with high-grip tires,” while Mode Four is for “dry canyon roads or commuting,” and Mode Five is intended for wet circuit or street use. 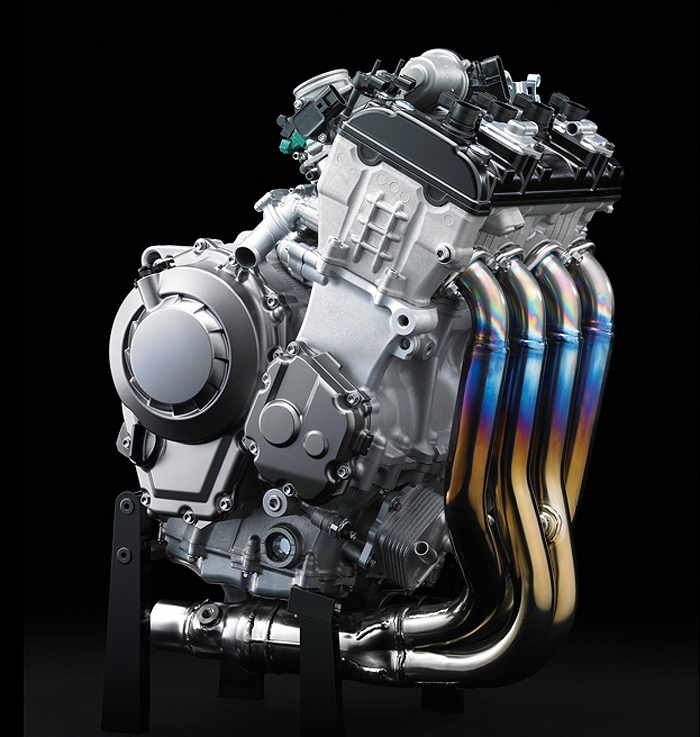 The Keihin 47mm throttle bodies are now controlled solely by an electronic ride-by-wire throttle system, so power control is likely handled by both throttle plate movement and ignition curve changes. 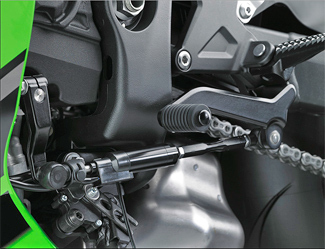 The addition of the Bosch IMU also means that Kawasaki was able to produce its own version of the “cornering ABS” that has seen usage on KTM and BMW motorcycles. 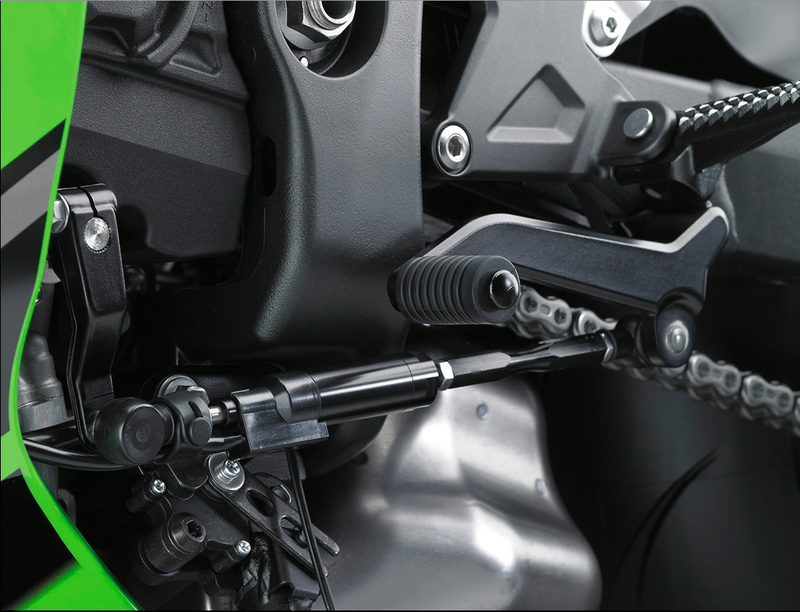 Kawasaki’s system is called “Cornering Management Function”, and changes braking pressure according to the bike’s lean and pitch angles to prevent it from standing up under braking in a corner. 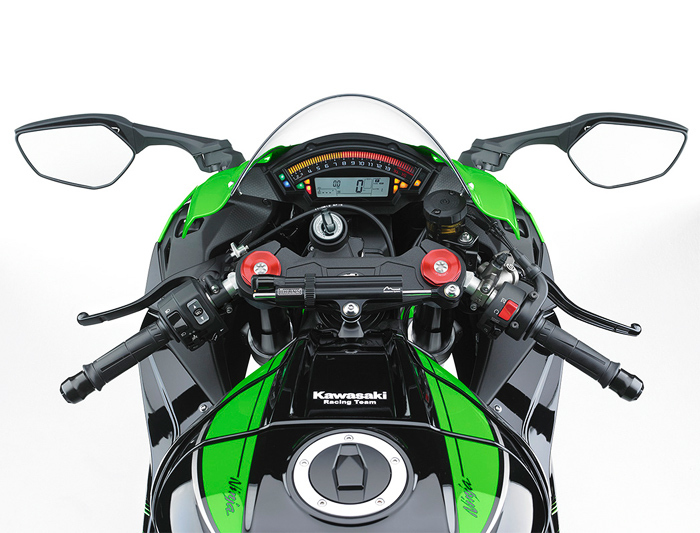 Another new addition is the Kawasaki Launch Control Mode (KLCM). 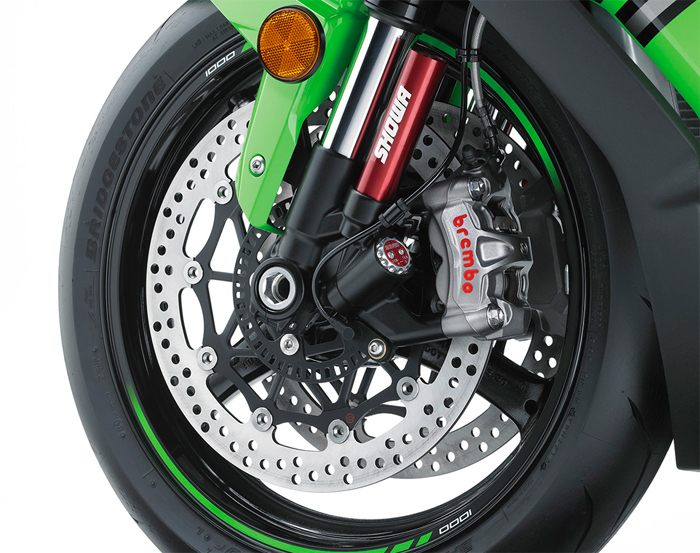 There are three modes available, with Mode One offering the least intervention and Mode Three offering the most to prevent wheelies off the line. 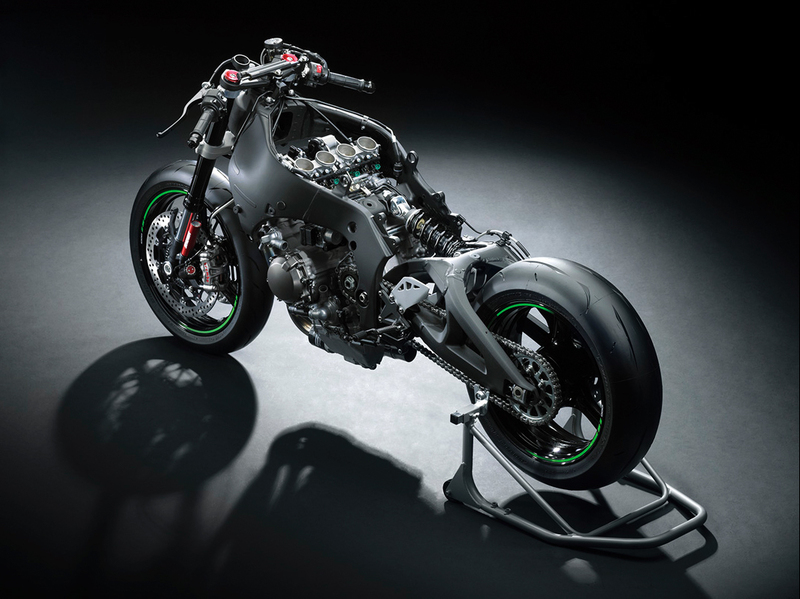 And Kawasaki Engine Braking Control—first seen on the supercharged H2R—manages engine braking (backtorque) when the rider shuts the throttle during braking, contributing to smoother corner entry on the racetrack. 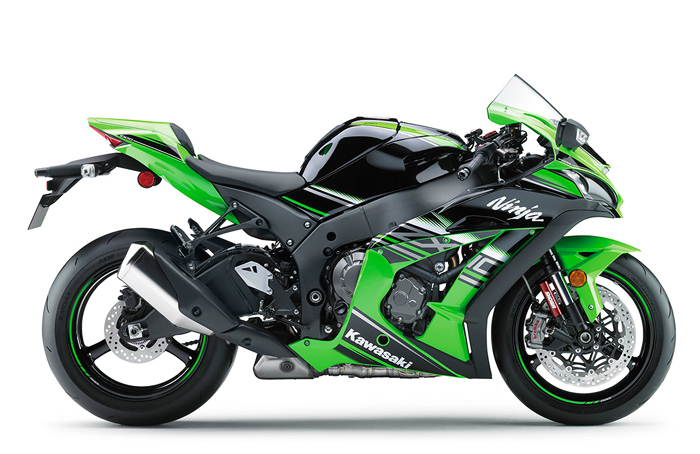 Lastly, there are three selectable Power Modes for the new ZX-10R: Full, Middle (providing approximately 80% power), or Low (allowing 60% power). 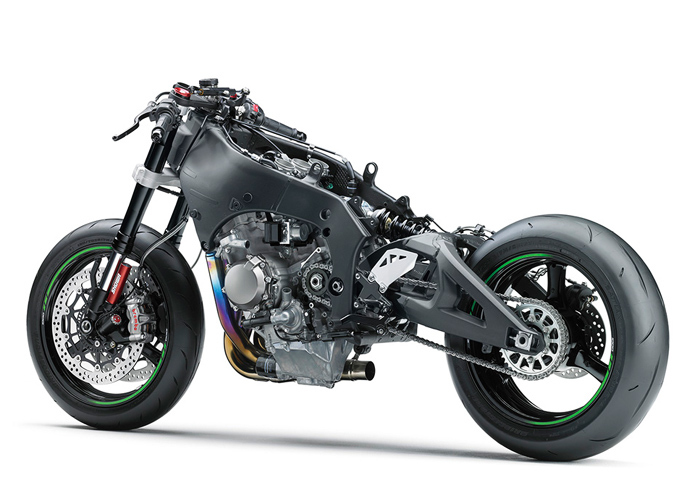 The new Ninja’s frame has also been redone, with the steering head moved rearward 7.5mm closer to the rider, while the swingarm has been lengthened 15.8mm (in addition to extra bracing for more torsional rigidity), resulting in more front weight bias. 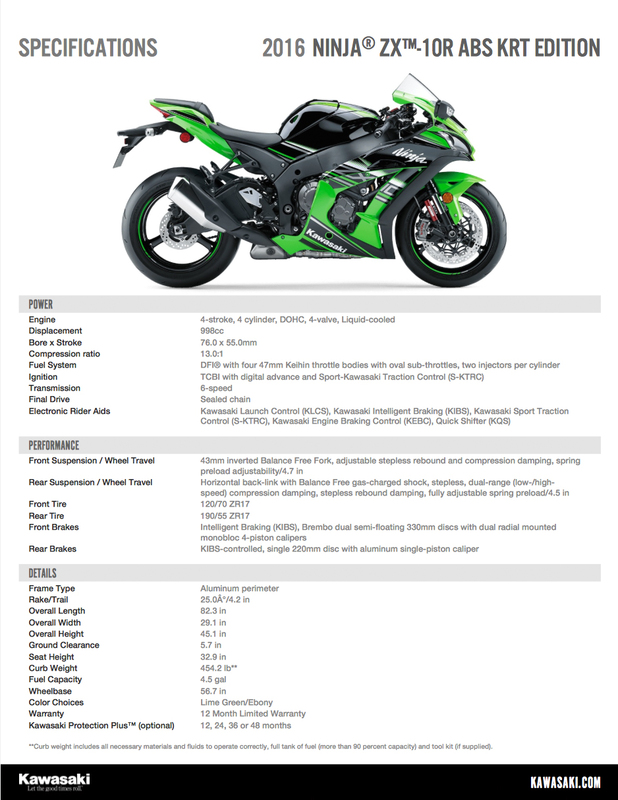 Wheelbase is now listed as 56.7 in., almost a half inch longer. 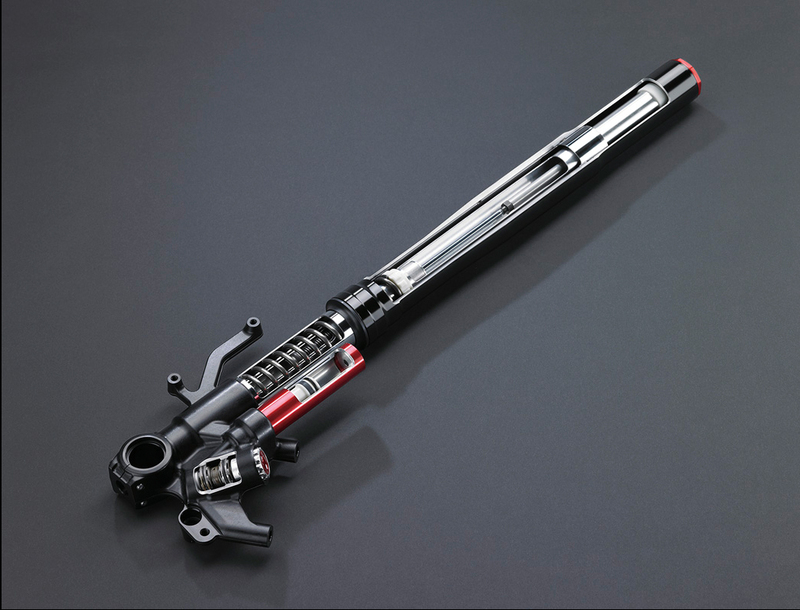 Suspension also shows Kawasaki’s WSBK experience, with an all-new Showa Balance Free Fork that features an external damping valve chamber. 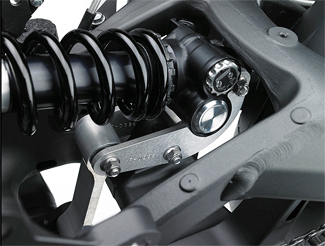 The design is similar to the Öhlins TTX/FGR concept, with the rebound and compression damping valves completely separated so that the oil only flows in one direction through the valves; in conjunction with nitrogen pressurization in the damping chamber, this keeps the pressure on both sides of the valves as consistent as possible, drastically reducing cavitation that results in inconsistent damping. The rear Showa Balance Free Rear Cushion (BFRC) shock uses the same concept in its damping valves, and the shock linkage has been revised to allow a broader range of adjustment. Brakes have also been fully upgraded, with Brembo M50 monoblock aluminum calipers with 30mm pistons biting on huge 330mm discs for awesome stopping power. 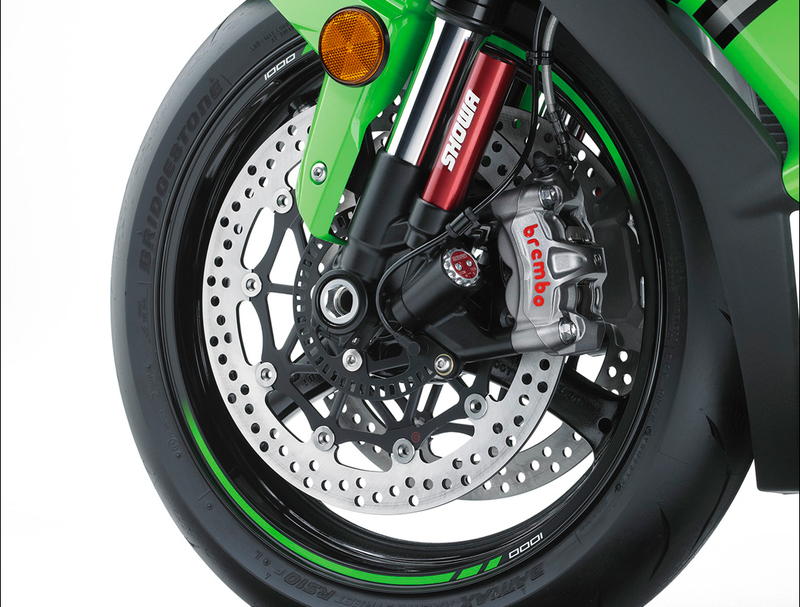 A Brembo radial-action master cylinder equipped with steel-braided brake lines ensures positive and responsive feel at the lever. 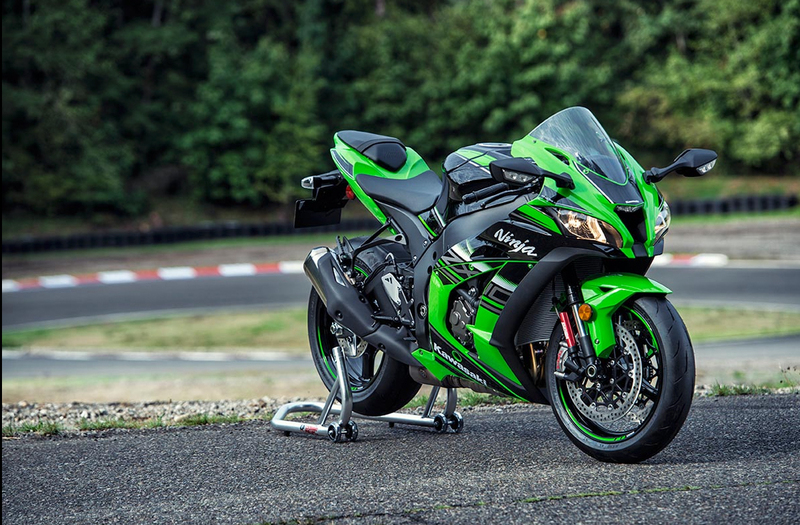 Wheels are one of the few components that haven’t been changed, although they are now shod with Bridgestone RS10 street/track rubber in 120/70-17 front and 190/55-17 rear sizes. Bodywork has undergone some restyling, with the windscreen improved for better aerodynamics. 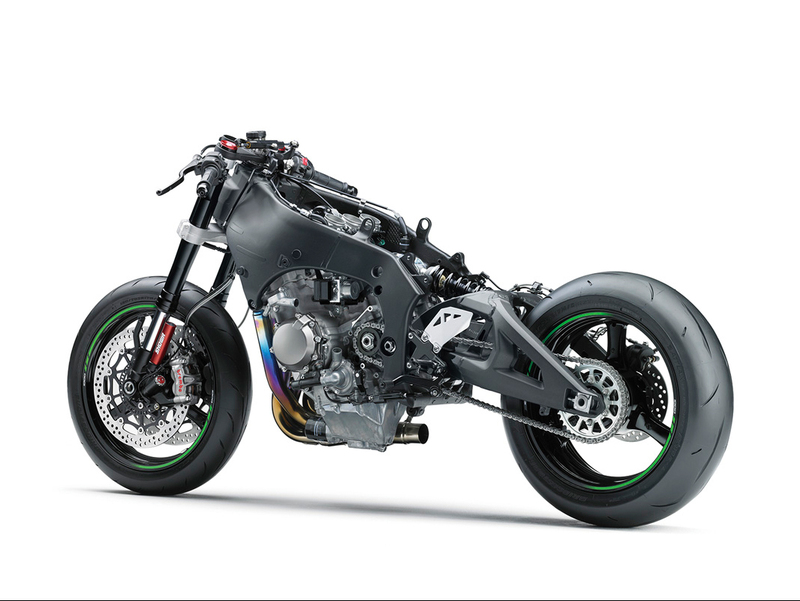 Overall weight is claimed at 450 pounds wet with all fluids and a full tank of fuel for the non-ABS model, 454 pounds wet for the ABS model.